Sit back and Relax, VEES Home Inspection has your back! Our goal at VEES Home inspections is to help you (OUR Client) feel confident, comfortable and relaxed about your home purchase. Buying a house may seem like an endless series of critical, important decisions. When you find the house that is right for you, you'll need to find a home inspector to educate you about the condition of your new home. Choosing VEES Home Inspections means you’ll be receiving a professional and knowledgeable team you can trust, with over 30 years in the Real Estate industry. Regardless if you're a Buyer or Seller we know it’s an emotional time for you, OUR knowledge through experience can ease some of those emotions, and help add security and that needed peace of mind. Our team will take an in-depth, unbiased look at your potential new home. All home sellers and buyers need to know that no house is perfect. Even in a new home - there are bound to be some issues that a home inspection will uncover. 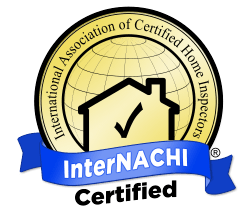 That's why we come in and thoroughly inspect each area and system of the home - and educate clients and Realtors in the process. VEES wants you informed so that you know what to do in the event you need to address an issue. We also want you to be prepared and educated on how to care for your new home. We cannot emphasize enough the value and necessity of an extensive home inspection, the additional peace of mind that a professional home inspection by VEES offers is invaluable. VEES HOME INSPECTIONS does things a little differently... We do it better. Aerial photo, free digital Aerial image of home, when and where conditions allow. What Is A Home Inspection And What Does It Include? A thorough home inspection performed by a professional is designed to provide you with vital information to help you make an informed decision about your potential purchase. A home inspection is a visual inspection of the exterior, structure, roof, garage, attic, basement/crawlspace, plumbing, electric. heating & A/C and interior rooms of a home. It will include an evaluation of the installed & readily accessible components of the home. You will be able to walk away from the inspection knowing, in a clear way, what the immediate and major issues are (if any), and what it need repair and/or maintenance in the near term. Buyer Home Inspection - This is what most people think of when they think "home inspection". Remember, your Buyer Home Inspection includes your FREE Energy inspections and a detailed report on current energy costs and future saving on recommended improvements! Seller Home Inspection - An excellent marketing tool for you as a home seller. This full home inspection alerts you to any major problems in your home that can be repaired before a potential buyer sets foot inside. We also stand ready to inspect any home you are potentially buying! Annual Home Maintenance Inspection - Even the most vigilant homeowner can, from time to time, miss things that may be happening with their home. That's why an Annual Home Inspection is a valuable tool in keeping your home from suffering serious and long-term damage from minor problems present now. Home Warranty Inspection - If you have recently had a home built for you, generally your builder gives a 1-year warranty. Our Home Warranty Inspection is designed to be performed in the 10th or 11th month to ensure that any problems that may have arisen during your first year will be taken care of by your builder.